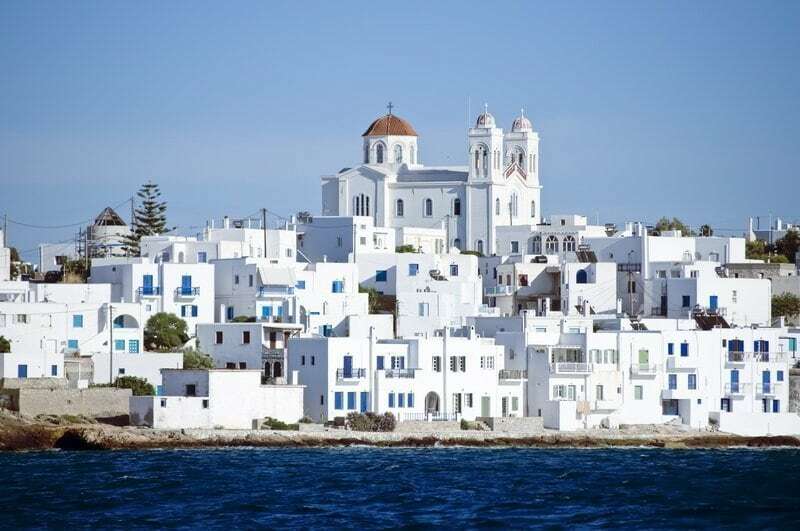 The 3rd most popular vacation destination of the Greek isles, after its star siblings Santorini and Mykonos; the 2nd largest island of the 220 in the Cyclades archipelago, after Naxos … But here’s why yours 1st stop off the ferry crossing the beautiful turquoise waters of the Aegean Sea should be the vibrant island of Paros. Buying property on the island of Paros, a big, beautiful, and shining gem of the Cyclades, is a sure cure to the stresses of everyday life. Once dubbed the “Quiet Heart of the Cyclades” by the New York Times, Paros has been able to keep a relatively low profile over the years, serving as a stopover on the tourist route. As a result, this paradisiacal island has maintained a peaceful atmosphere, an authentic local culture, untouched landscapes, and plenty of prime real estate to accommodate all your summer needs for rest, relaxation, and rejuvenation. Purchasing property on the peaceful paradise of Paros is a prestigious privilege. A little tongue-twister, yes, but just a glance at the BARNES Greece property listings in Paros is enough to send your eyes into a frenzy. Most luxury properties are located in remote areas, overlook the island’s spectacular landscape, and are more than reasonably priced. For example, a seaside house with a breathtaking panorama is on the market for downward of a million euros; and an exceptional residential complex with 5 villas, 2 pools, countless terraces and verandas is marked at a cost of 4 million euros. The real estate market in Paros is ripe with investment opportunities. Whether it be a charming villa with a Mediterranean garden behind a white-picket fence or a traditional house with beautiful archways overflowing with colorful flowers, the island is full of similar steals, that will also steal your heart. Buying a second home on the island of Paros will allow you to benefit from its innate sense of tranquility and exploration, at the same time. The noise of big business and commercialization are kept at a minimum so that the sweetness of island life can be enjoyed at its purest. To some, this means wandering through mesmerizing mazes of alleyways in charming traditional villages and dreamy hillside whitewashed towns that are drenched in waterfalls of fuchsia bougainvillea and dotted with blue-domed churches and Cycladic architecture, such as Lefkes for example. The capital and port city of Parikia is presided over by the exceptional Panagia Ekatontapiliani church complex, a monumental symbol of Byzantine architecture. Still, you can find an exciting nightlife scene in Naoussa, the island’s largest town. To others, it’s discovering mysterious caves along the coast or soaking up all the sun your body will allow on the island’s golden-sand beaches. Golden Beach is a must, but we recommend New Golden Beach for its perfect windsurfing conditions. Vacationing in Paros comes with all the typical features of Greek island life, including colorful local shops and fresh dining at tavernas by the harbor. Traveling to Paros is made easy with its international airport, or via boat from the islands Piraeus and Rafina (2.5-to-5-hour trip). Off-island day trips are also encouraged. The nearby Antiparos, a sparkling islet with crystal-clear waters, is a popular excursion. Who said you couldn’t vacation while on vacation? Paros is the ideal getaway for couples, families, and those looking for peace and quiet in an idyllic environment full of discoveries, authenticity, culture, and a unique art de vivre. Contact BARNES Greece and buy a luxury vacation home on the island of Paros.